To close out the year, we’ve loosened the reins on our usual compositional guidelines. Instead, I’m posting one of my favorite photos of the year. 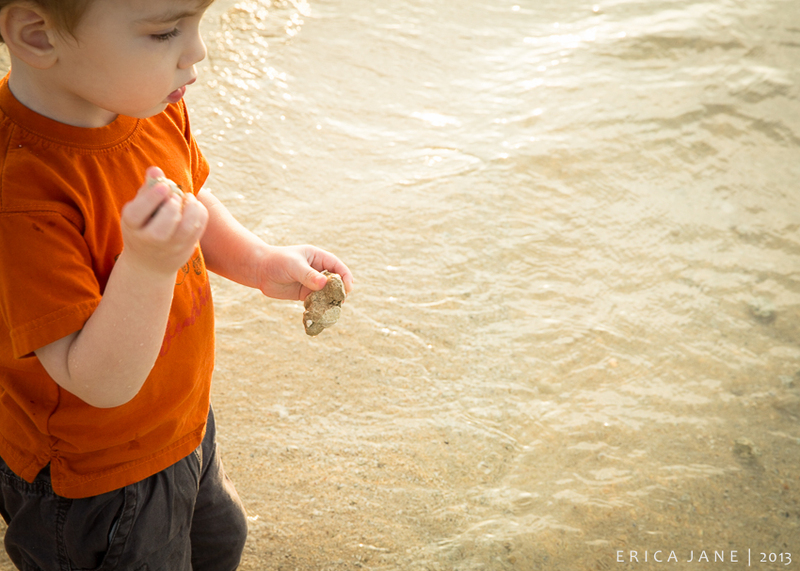 Early morning, at the beach, all is quiet but for the “plunk”-ing of rocks being thrown in the water. 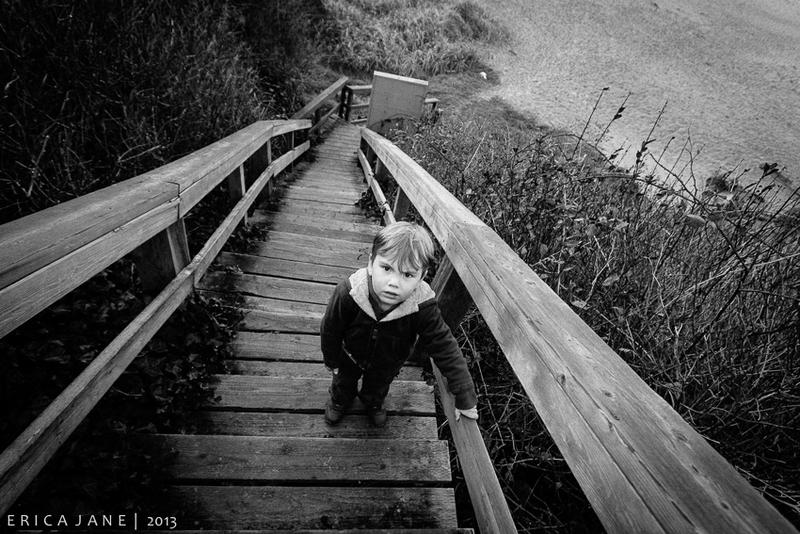 Please visit Who We Become to see the images that 17 other photographers (and dear friends!) have selected to end 2013. 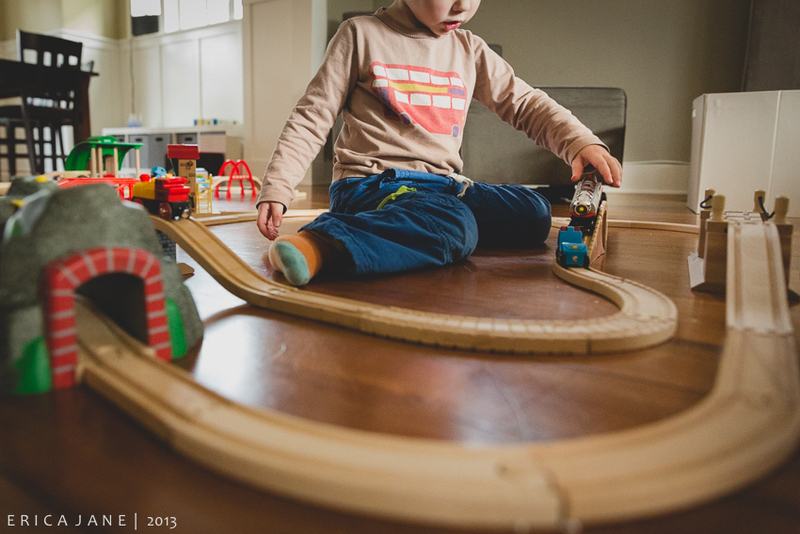 This week’s compositional theme explores curved lines… much like the curved train track spanning our living and dining room this week, always leading back to our little guy. Please have a look at other interpretations of this theme at our collaborative blog, Who We Become. 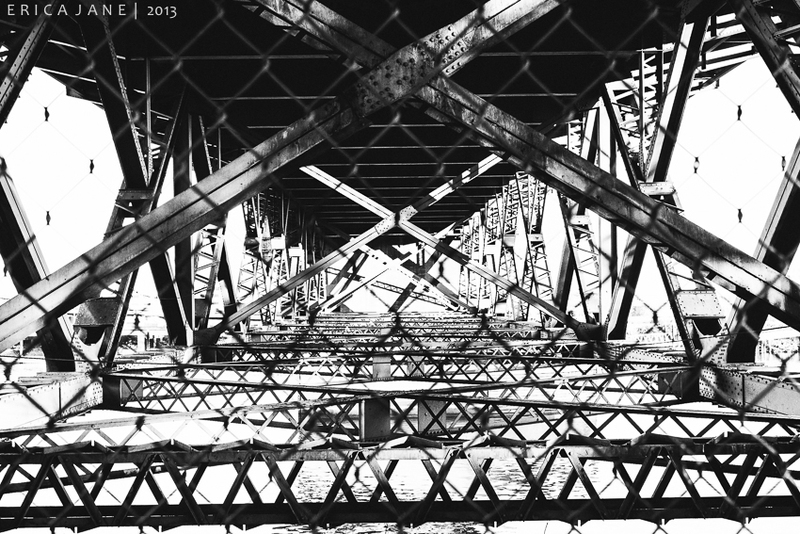 “Under the bridge, and over the dam, looking for berries, berries for jam.” Well, doesn’t seem to be any jam here, but certainly plenty of diagonal lines, which suits this week’s theme. 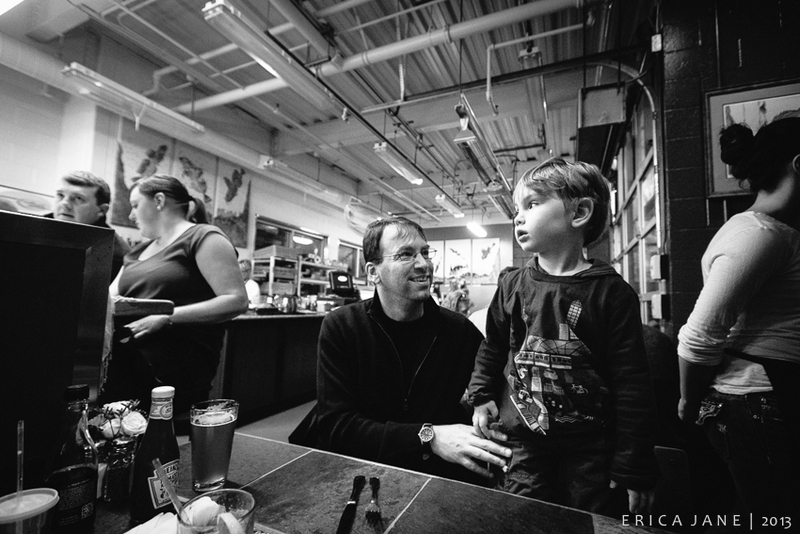 This post of is part of a project with 17 wonderful photographers. See their interpretations of this theme HERE. Well, not always. This week, our project focuses on horizontal lines. The looooong stairwell to the beach has more horizontal lines than I could count. The climb perplexed young B. as well. This week marks a new monthly theme for the blog circle: lines of all sorts. Leading, horizontal, vertical, diagonal… I’m kicking it off with an image that incorporates leading lines, taken during our lovely weekend vacation on the coast, when we went out to dinner at a very popular seafood restaurant. After waiting outside for almost an hour, we were excited to get inside and see what all the fuss was about. This post of is part of a blog project with 17 wonderful photographers. See their interpretation of this assignment HERE.